"Cheat sheets" for white papers: a new format for you? As a B2B marketer, you’re likely under pressure to empower your sales team with great content. Are your sales reps asking for something “short” they can hand out at a meeting or e-mail to prospects? Your reps may believe customers don’t want to read lengthy pieces and would prefer something shorter they can quickly skim. This means the 10-page white paper that you just published might never be used by your sales force. 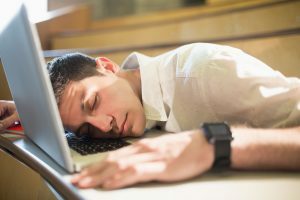 In fact, Sirius Decisions recently reported that 60% to 70% of all B2B content goes unused, in part because marketing and sales aren’t well-aligned. 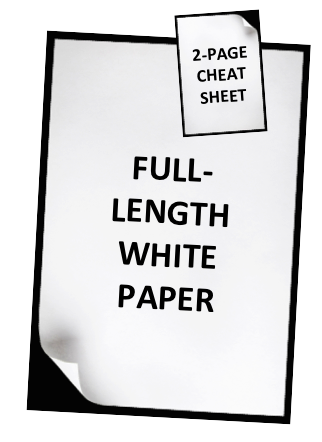 One way to meet any requests for short content is to create “cheat sheets” for your white papers. These are two-page documents that highlight the key points of your white paper. Being so short, they are easy for sales reps to share with leads. But how can you get your message across in just two short pages? Here are five tips for creating a white paper “cheat sheet” that will help you drive sales. You don’t have a lot of room in your cheat sheet, so you must get to the point quickly. You can pull from your white paper’s executive summary to give readers an overview of what your full white paper addresses. Many white papers contain a list of tips or considerations. Include your top 3 to 5 tips in your cheat sheet. Then direct readers to the full white paper to get all the rest of your tips. One of the biggest complaints sale reps have about marketing content is that it doesn’t align with their prospects’ needs. Creating cheat sheets gives you the opportunity to tweak your white paper’s content for different audiences. For example, if your full-length white paper speaks to IT directors, you can create a cheat sheet for the next level up, the CIO. Make sure that 80% of your cheat sheet is educational. You won’t have much room in the remaining 20% to pitch your product. So instead of a sales pitch, simply aim to keep your readers involved. Insert a call to action that asks readers to download the full white paper, attend a webinar or try a demo. If you’re creating a cheat sheet to engage people who don’t like to read, then your design must catch their attention. Use short paragraphs, subheads, and bullets to break up your text. Leave plenty of white space, and don’t be afraid to have fun with colours and graphics. I don’t think a cheat sheet can completely replace a full-length white paper. A full white paper gives you room to present your most compelling insights and help your customers to make more informed buying decisions. However, a cheat sheet can be a great format for prospects who don’t have much time, don’t like to read, or really don’t need as much information. Why not experiment with this new format, and see how it works for you? I’d like to get into writing Case Studies. Are there any ‘dummies’ type books or guides about them available? * the module on case studies in his “Crash Course in B2B Content” available from the AWAI here. Case studies are covered as one of 12 modules, and the full program lists for $197. Otherwise, just Google “how to write case studies” and articles will come up. Thanks for some very interesting ideas. I like the way you think. Hey Leslie: Great to hear from you! It has been a long time. Hope the writing life is treating you well.